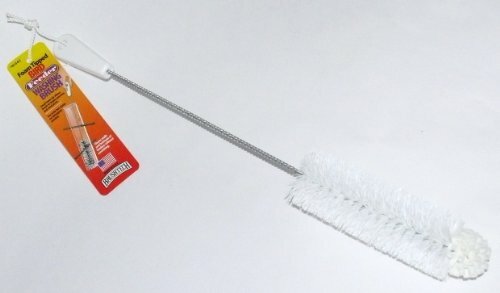 ATTENTION: If you're looking for the absolute BEST 2-in-1 Combo Hummingbird Feeder Cleaning brush ever made available to the general public, then this is exactly what you've been looking for! Here's the deal... 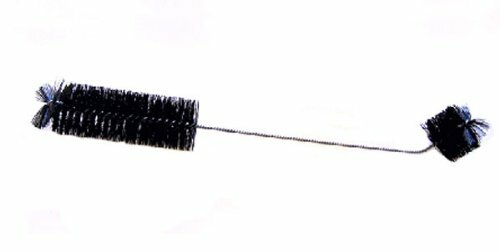 Many of our competitors' "cheap" feeder cleaning brushes have hard bristles, which can damage, cut, scratch, and basically ruin your beautiful hummingbird feeder. 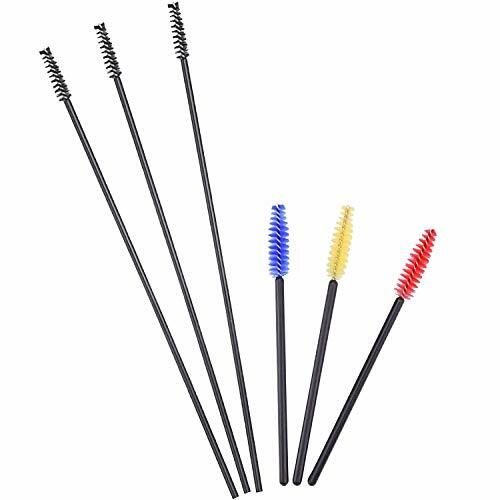 In addition, their brush "combos" typically include MULTIPLE small, easy-to-lose, and cheaply-made plastic brushes that are VERY easy-to-lose, so that when you're ready to clean your feeder, you're always missing that one important brush that you need the most! 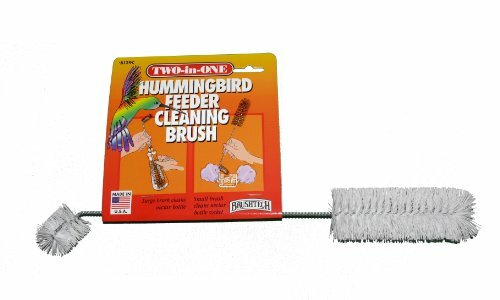 The "We Love Hummingbirds" brush is the #1 rated cleaning device, specifically for hummingbird feeders, because it solves all these problems! 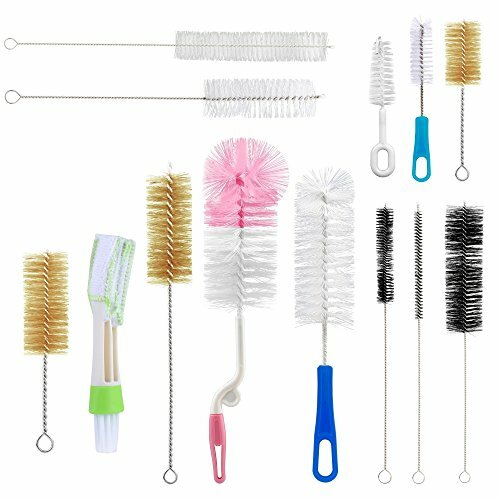 You'll be able to clean your feeders faster, mo' better, and most hygienically by using our convenient "all-in-one" design that was designed & developed by professionals to work the first-time... Everytime :) We're so sure that you'll love your new "We Love Hummingbirds" Hummingbird Feeder Cleaning Brushes so much that you'll want to buy more than one! Add to Cart Today! 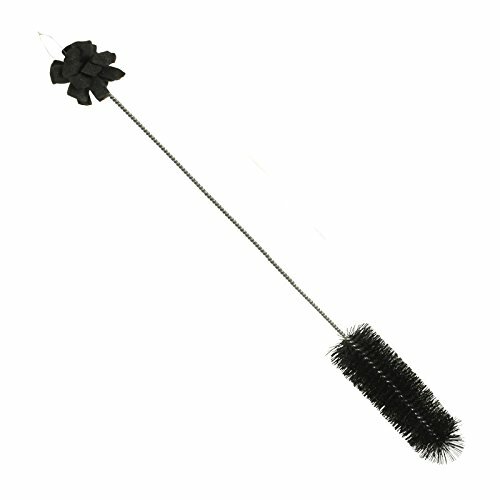 Best 1 Hummingbird Feeder Two-in-One Cleaning Brush-14"
The Best 1 Hummingbird feeder brush is the perfect brush for feeders of all shapes and sizes. The angled end will reach those hard-to-clean areas and fit into small neck bottles. The broad end will clean larger surface areas and will fit inside larger bottle feeders. 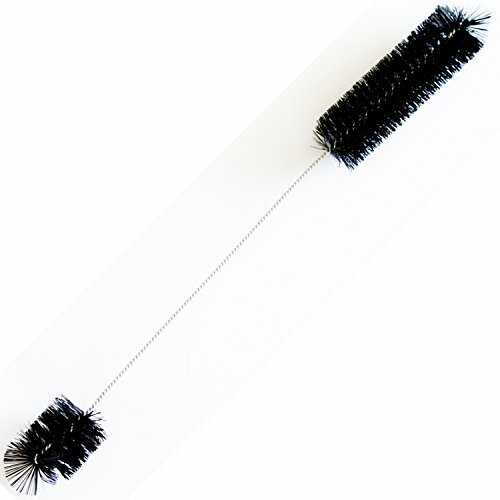 The firm, flexible bristles clean without scratching plastic or glass surfaces. 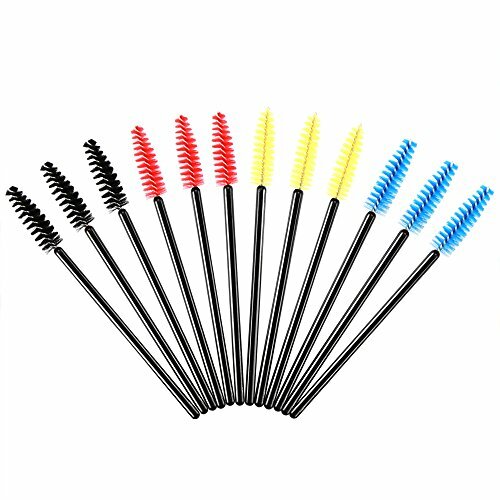 Dimensions: 1.5" diameter brushes and 14" length. Best 1 products are proudly made in the USA. The Infinity Bird Feeder: Wishing Well Model by Heath Outdoor Products provides a clear view of the feeding birds. It combines the seed storage of the traditional hopper feeder with the view of the platform feeder. Its design includes a low seed indicator (when the bucket becomes visible, it is time to refill the seed well). The Perky-Pet Holly Berry Gilded Chalet features a circular perch that invites birds to feed from all angles. This attractive plastic feeder has a lid with an embossed holly berry pattern and is treated with a UV inhibitor to protect it from the sun and prevent fading. This gorgeous feeder can hold up to two pounds of seed, and with its patented Sure-Lock cap system it will reduce your amount of fill times. The Perky-Pet Small Panorama Wild Bird Feeder is sure to attract many birds to your backyard. The innovative design of this feeder allows the seed to dispense into the tray and stops dispensing once the tray is full. As the birds continue to dine from the circular perch, the seed is replenished into the tray so it remains consistently full. This feeder also features the Sure-Lock cap system, an exclusive squirrel proof feature which ensures the lid stays put and squirrels can't get into the seed. The Small Panorama holds two pounds of seed and features a rustic brown finish. Remember to clean your wild bird feeders every two weeks with a mild soap and water solution. Maximize your garden’s appeal with the Pennington Planter Hummingbird Feeder Two Pack. This pack contains two hummingbird feeders and two rust-resistant shepherd’s hooks that make an ideal addition to planters and hanging baskets and are sure to help attract plenty of hummingbirds for your birdwatching enjoyment. Each feeder holds 2.3 fluid ounces and features a bright red base with flower-shaped feeding port for maximum attractiveness that hummingbirds won’t miss. Attract twice as many hummingbirds and liven up your garden this summer, with the Pennington Planter Hummingbird Feeder Two Pack. Our revolutionary Squirrel X1 squirrel-proof Songbird Feeder protects your birdseed and allows you to feed the birds not the squirrels! Featuring four squirrel-proof feeding ports with long, sturdy perches, the metal sliding sleeve will close all ports simultaneously when a squirrel’s weight is applied to any perch or the roof. The feeder holds up to 4.2 pounds of seed and has a wide mouth for easy filling. The lovely satin nickel finish will complement any outdoor décor and blend in nicely with nature. Keep squirrels out of your feeder with our More Birds Squirrel-X1 Birdfeeder. 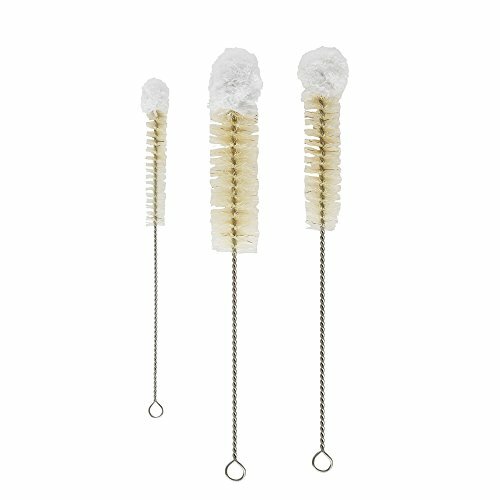 Keep those pesky ants away from your hanging bird feeders! This ant guard helps ensure the birds (and not the ants) will enjoy the fresh nectar. The Perky-Pet Ant Guard effectively repels ants from feeders and easily mounts in-line with hanging bird feeders. 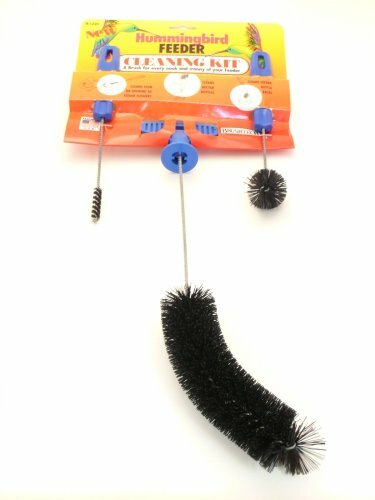 This ant guards uses Permethrin which has been proven safe around birds, pets and people when used as directed. 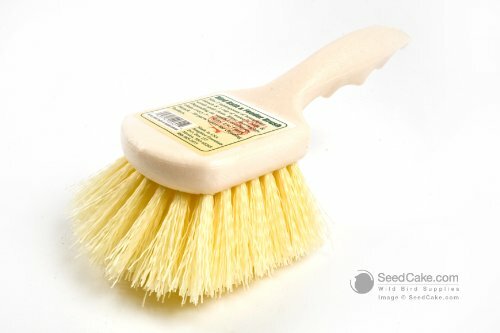 The bird feeder brush has supple, natural bristles and cleans all our seed feeders easily. 24 inches long. Our More Birds Glory Hummingbird Feeder will not only provide enough nectar to keep your resident hummingbirds full, but the beautiful brushed copper and glass design will also add elegance to your yard. The feeder has a 14-fluid ounce capacity and 5 feeding stations. The red flower-shaped feeding ports replicate flowers that hummingbirds are naturally attracted to in the wild and are sure to keep hummingbirds flocking to your feeder. The wide-mouth bottle makes the filling and cleaning easy. The glass bottle with a brushed copper finish metal top and base, adds style to your outdoor space while providing food for your feathered visitors.